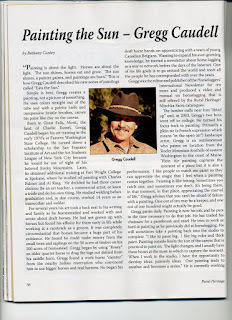 I had the privelege to get interviewed by Bethany Caskey for Rural Heritage Magazine, one of the few magazines which cover draft horse and farming issues. Ms. Caskey is an excellent writer and easy to talk to. 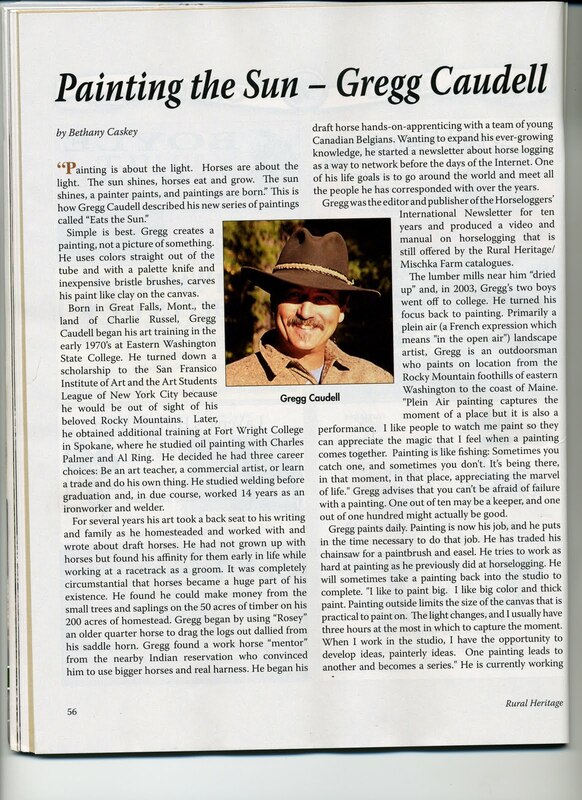 She is also a horse person and artists so it was an easy interview that turned into a 4 page article with many photos of my work! I'm sorry I don't have a digital copy but have ordered many hard copies. I recommend subscribing to Rural Heritage. Publisher Joe Mishcka also has an extensive online library on things rural with an emphasis on draft horses. Thanks Joe and Bethany for the opportunity!